Facing off against close to 100 angry pro-U.S. protesters who had blocked the entrances of the Organization of American States headquarters in Washington, D.C., supporters of Venezuelan President Nicolás Maduro and the Bolivarian revolution held their ground, chanting “USA, hands off Venezuela!” and “Violence in Venezuela — Made in the USA!” on May 31. 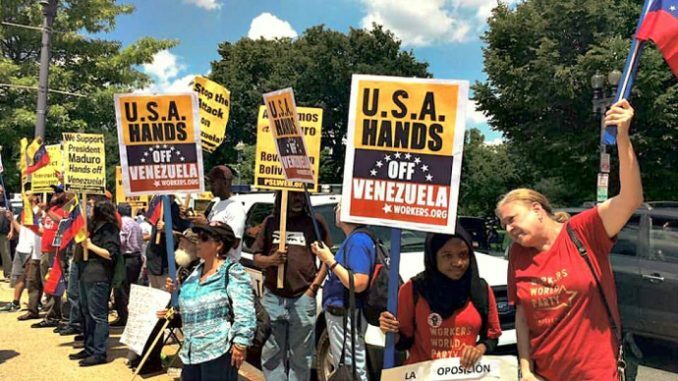 The pro-Bolivarian protest was called in response to a meeting of the foreign ministers of the Organization of American States, during which OAS Secretary General Luis Almagro planned to promote sanctions against Venezuela. 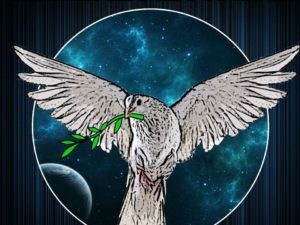 The U.S. ruling elite, the Pentagon and the U.S. government have used this tactic against countless countries in order to undermine and destroy people’s gains. The protest also came 10 days after Orlando José Figueras, an Afro-Venezuelan, was set on fire on May 21 for allegedly being in favor of the revolution. The racist hate crime has horrified people around the world. 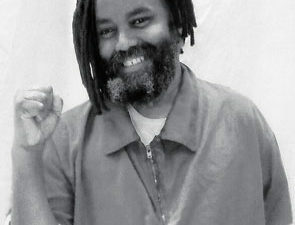 The counterrevolutionary forces outside the OAS justified the attack, saying that Figueras deserved to be burned to death because he was stealing. He has since died of his extensive injuries. Supporters of the Venezuelan revolution carried pictures of the attack and pointed out the class differences between Figueras and those gathered against Maduro. Almost every pro-U.S. supporter was white and wore designer clothes. She and David Card, another young Workers World activist, pointed out that the opposition are terrorists who are attacking the gains that Venezuelan people have made through the Bolivarian revolution, including in health care and education, and increases in the minimum wage. 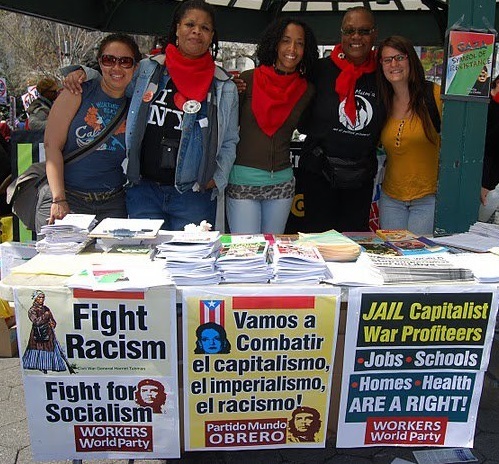 She affirmed that Workers World Party and others will be continuing our protests in support of the Venezuelan people and the Bolivarian revolution. A protest is scheduled in Baltimore on June 8. See iacenter.org/4832/venezuela/. 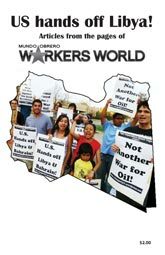 The May 31 pro-Bolivarian revolution protests were called by a large cross section of groups, including the Alberto Lovera Bolivarian Circle of New York, Workers World Party, Baltimore Venezuela Support, the FMLN, Trabajador Unidos de Washington D.C., the Answer Coalition, CISPES — the Committee in Solidarity with the People of El Salvador, the Latin American and Caribbean Action Network, Brazilian Expats for Democracy, the Cuba and Venezuela Solidarity Committee, the Alliance for Global Justice, the People’s Power Assembly and Pan-African Community Action.